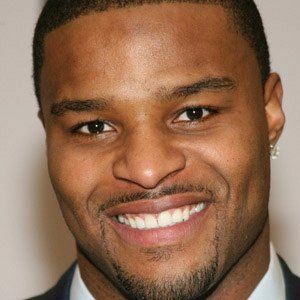 NFL defensive end who won two Super Bowl Championships with the New York Giants. He was selected to the Pro Bowl in 2005 and 2007. He went to Auburn High School in Alabama which is the high school that the legendary DeMarcus Ware also attended. He had six sacks against the Philadelphia Eagles in a Sunday Night Football game, setting a record and leading his team to a 16 - 3 victory. He dated model Selita Ebanks in 2008. He married Leila Lopes in 2015. He won the Super Bowl twice with Eli Manning, and Eli was named the MVP of each game.